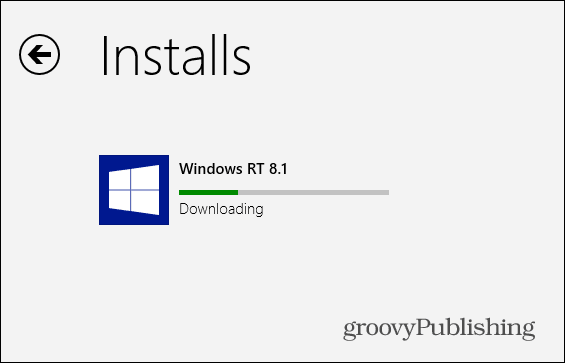 Microsoft removed the Windows RT upgrade this past weekend due to users having issues installing it. On Tuesday the company added it back, here’s a look. Microsoft removed the Windows RT 8.1 upgrade this past weekend due to users having issues with upgrading, and some people even “bricking” their Surface. 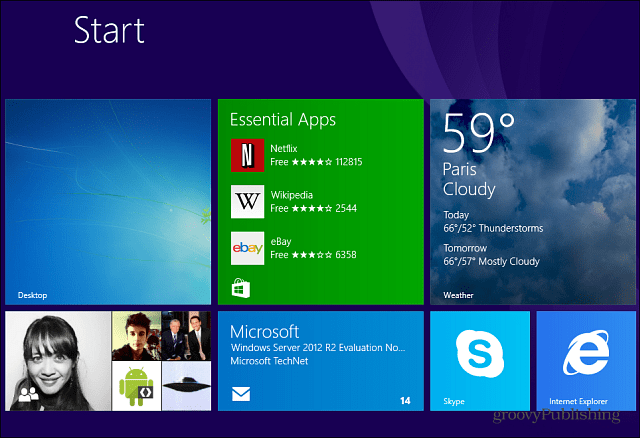 On Tuesday of this week Microsoft announced the 8.1 upgrade is finally back in the Windows Store. 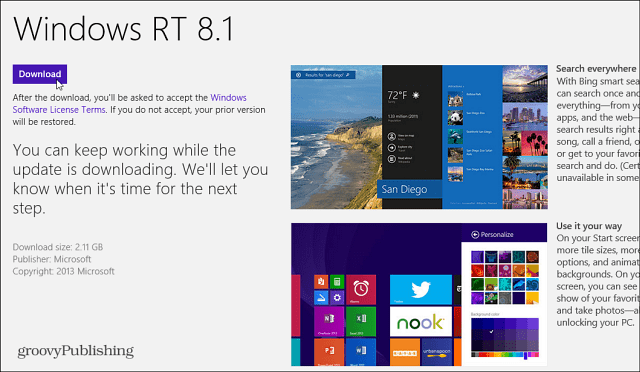 The update to Windows RT 8.1 is once again available as a free download in the Windows Store for users with Windows RT devices. We immediately suspended availability of the update after reports that a very small number of Surface RT customers—around 1 out of every 1,000 Surface RT 8.1 installs—had experienced an issue that left the update incomplete and their devices unbootable. This was due to a rare situation where firmware updates had not completed at the time of the update to RT 8.1. In most cases, if a customer encountered this issue the result was simply an extra reboot. However, for a very small percentage, the boot configuration data was affected which prevented a successful boot. The company states that less than 0.1% of Windows RT users were affected, but I‘m questioning that statement. My Surface RT ended up needing a recovery, and several Surface and Windows RT device owners I’ve spoken with had the same or other problems. Plus, when it was launched last Thursday, the update was just simply unreachable before the company pulled it. For those users who ended up with a “bricked” Surface, the company released a recovery solution that’s available for download here. 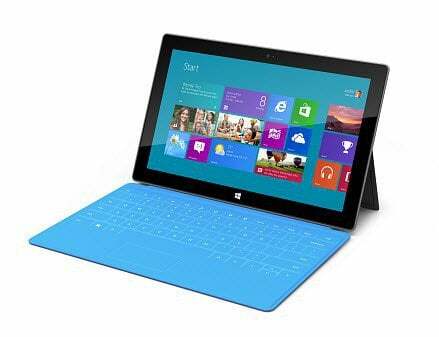 This will work to recover the Surface RT in North American countries – USA, Canada, and Mexico. Before updating your Surface RT or Windows 8 for that matter, make sure to back up the most important data on it. Also, go through and make sure you have every RT update and firmware versions are installed. Even if you have your system set to automatically download and install updates, manually check and make sure you have everything. 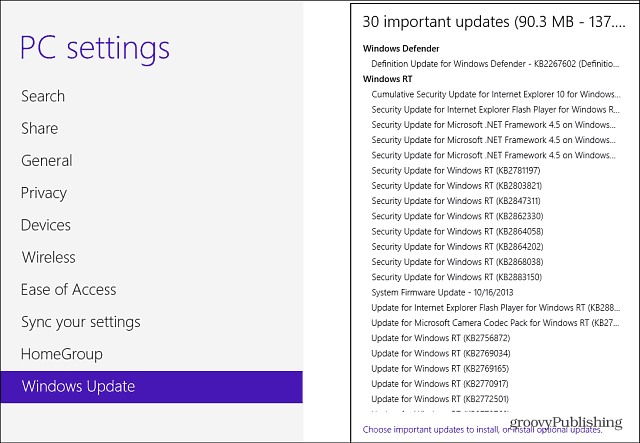 You shouldn’t have as many updates as shown in the shot below unless you did a recovery to Window 8 RT. Once everything is updated, launch the Windows Store and you’ll see the following screen listed first, just select update to Windows 8.1 for free. Next you’ll be given a brief explanation of what the update includes. Click the Download button. 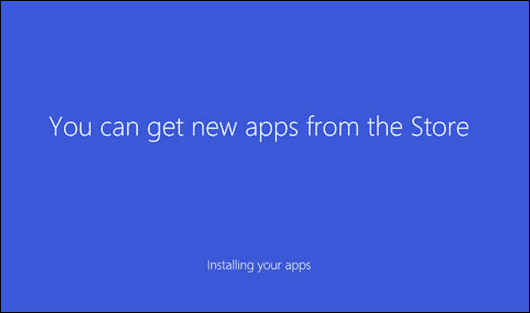 Then wait while the update is downloaded and installed on your Surface. You can continue to use your system while the downloading part of the update happens in the background. To complete the install process, you’ll see a message letting you know a restart is required, and that it will restart a couple times while completing the install. 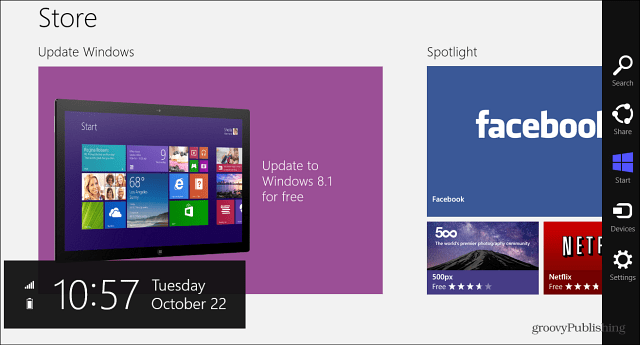 Each time the Surface restarts, you’ll see screens similar to these below that tell you what the update is doing. Your system will restart two or three times as it completes the install. When everything is ready, you’ll need to agree to the EULA. Then continue the basic setup following the onscreen instructions – which are straight-forward and self explanatory. 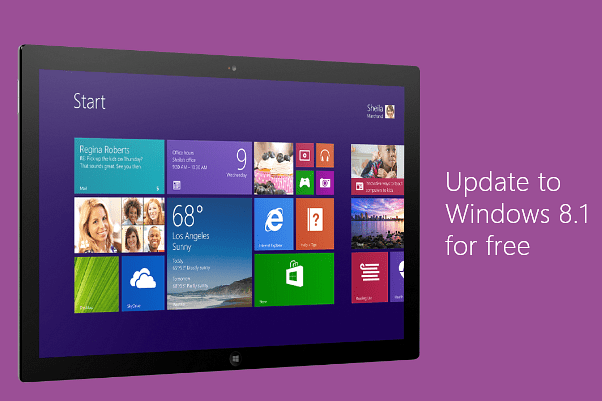 After your Surface has been upgraded, go to Windows Update again to install the updates that are already available for Office 2013 and the RT OS. All done! Now you can start enjoying a much improved touch experience on your Surface RT. Since removing the update and making the improved one available in the Store on Tuesday, the update worked perfectly and was easy. The most annoying part for me is the amount of time the download takes on my DSL connection. Of course that’s not Microsoft’ fault, and the update is over 3GB in size. What about you? Do we have any Surface or Windows RT users who had a problem with the first attempt at the update out there? Leave us a comment and tell us about your experience.